This plasmid can be used to assemble a gene targeting vector for generating a conditional allele. 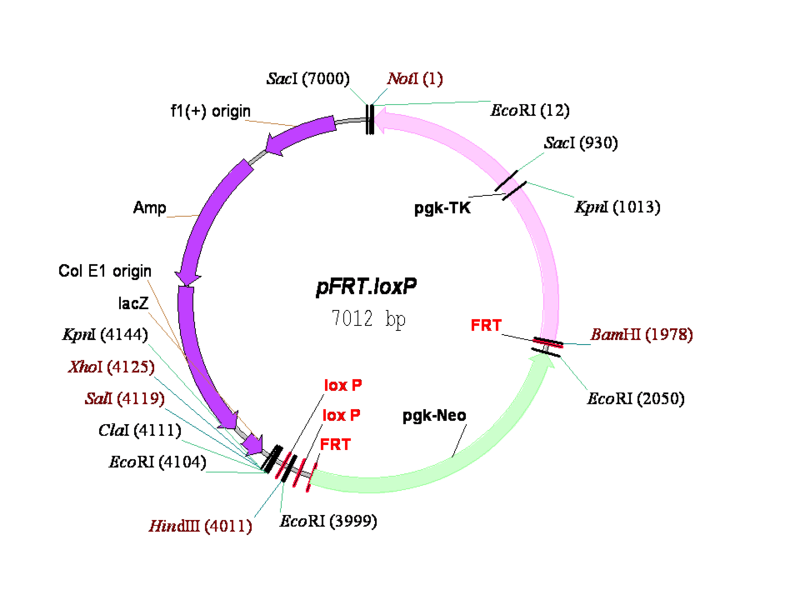 It contains two tandemly oriented loxP sites and two tandem FRT sites along with pgk-neo (positive) and pgk-tk (negative) selection cassettes in pBluescript KS+. The pgk-neo and pgk-tk cassettes were obtained from the plasmid pNTK(A). Unique restriction enzyme cloning sites are indicated in red.